This 3 bedroom 1 bath home sits nestled at the end of Shepard Lane. 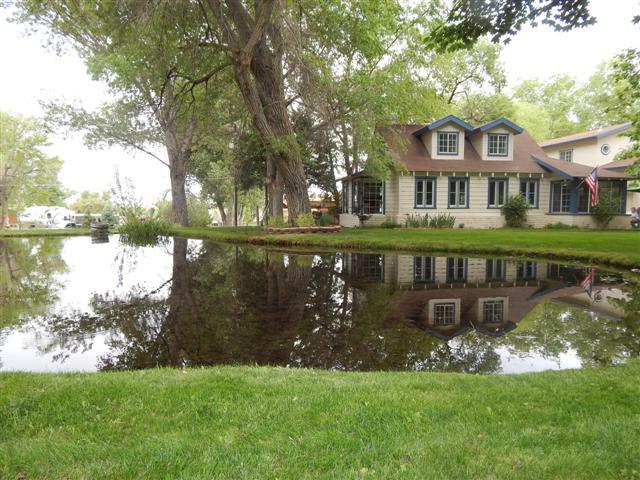 Park like settings with flowing creeks, tranquil ponds that homes to visiting ducks, and trees that shade the property from the summer exposure. The living room area was built in the 1940s and moved to this fantastic location. Original window casing, wood accents and fireplace are part of the charm. The garage and two bedrooms were added later. Finished attic with storage space and Dormer Windows. Some new dual pane windows throughout, laundry room, updated bathroom.